Mercator Gold plc announces its preliminary results for the year ended 30 September 2009. The Company’s AGM will be held on Wednesday 28 April 2010 at The East India Club, 16 St James’s Square, London SW1Y 4LH at 10:30am and the annual report and accounts will be sent to shareholders by 31 March 2010. I am pleased to address Mercator’s shareholders with regard to our progress in rebuilding the Company following the traumatic events of 2008. As shareholders will be aware, during 2008 Mercator was forced to close down its Meekatharra gold mining operation due to spiralling costs and the failure of the Surprise pit wall. Over the last fourteen months, the Company has worked hard assisting the administrators of its Australian subsidiary and a new investing group to recapitalise the Meekatharra project. Progress toward this objective has been made and announced to shareholders. Joining the Company as Executive Chairman in July 2008 and working closely with the existing Board we have entered into a series of value generative transactions from which Mercator has already derived considerable benefit. Your Board has broad experience in many aspects of the mining and exploration industries in many different commodities and it is our intention to utilise all our experience in moving Mercator forward. In addition to mining and exploration, we have used our experience in manufacturing to find compatible cash flow opportunities. Mercator was able to purchase a 70% interest in ACS Asia, a profitable Thai manufacturing business, in October 2008, and as a result continues to earn management fees and to share in the profits of the business, thus stabilising the finances of the Company during an uncertain period for the world’s economy. We will continue to use our experience to find other situations of value and in the course of the period under review have acquired interests in two exciting mineral development projects, one in Papua Province, Indonesia and another in New Mexico, USA. The first of these was the acquisition of an interest in an extraordinary alluvial deposit in Papua that is known to have produced more than 100,000 ounces of gold at very high grades. The second was the acquisition of an exclusive option over the Copper Flat project in New Mexico, at a time when copper prices were much lower than those which currently prevail. We see Copper Flat as an attractive option on the copper price through a technically straightforward open pit mining project. The deposit contains over US$2 billion worth of metal at today’s prices and we believe that Mercator will be able to add considerable value to the project with some innovative development. Of importance to the immediate growth of Mercator is the ability to realise value and I am pleased to report that during the course of 2009 we were able to sell part of our interest in Silver Swan Group Limited at a substantial profit. We retain four million performance shares in that company and will therefore continue to have a stake in its success. We expect to enter the second quarter of 2010 with metal prices at levels that will allow mining companies to fund projects and to make profits and we see the future of Mercator as one of adding value to promising mineral projects and of putting the Company in a position to realise that value. Turning to the financial results of the Group, I am pleased to report that ACS Asia was responsible for contributing £244,000 of income and book profits to the Group Income Statement during its first year of operations under Mercator’s control. ACS Asia recorded £4 million of turnover with a gross profit of £1.2 million, equating to a robust 30% gross profit margin. This is an impressive achievement in light of the difficult operating conditions, and we anticipate that the business will make an even more substantial contribution next year. An upward revaluation of the Company’s holding in Silver Swan by £1,452,816 combined with the contribution made by ACS Asia and other adjustments enabled the Group to record a net deficit for the 15 months to 30 September 2009 of £2,618,112. Overall, Mercator’s balance sheet has been significantly strengthened as a result of the acquisition of a cash generative business in the guise of ACS Asia and as a result of the partial divestment of the Company’s interest in Silver Swan. Mercator has now re-established itself with a range of assets beyond those that were envisaged at the time of the Company’s AIM flotation in October 2004. In moving forward to a new future it is proposed by the board that the Company be renamed Electrum Resources plc and a special resolution to this effect will be put to shareholders at the AGM. In October 2008 Mercator acquired a 70% interest in ACS Asia (1996) Company Ltd (“ACS Asia”), a profitable Thai manufacturing business, from the US diversified industrial group Tyco International. Mercator acquired its interest through Gold Crest Holdings Ltd, a company registered in Hong Kong and which owns an effective 100% interest in ACS Asia, which is incorporated in Thailand. ACS Asia’s core product lines are Unistrut metal products, which are ubiquitous in the global construction sector. The business employs approximately 130 people and owns a modern manufacturing facility in Rayong, Thailand. ACS Asia has exclusive rights to sell Unistrut products in a number of Asian countries. As at 30 September 2009, ACS Asia’s production facility was operating at approximately 80% capacity with an order book sufficient for three months. The outlook for 2010 is considered promising. Mercator paid an initial US$750,000 for ACS Asia, of a total consideration of US$2 million. At the end of the period, approximately US$1.25 million had been paid and post-period a further US$650,000 has been paid. Mercator’s investment in ACS Asia is already delivering a healthy return and we expect the business to grow considerably in the medium term, particularly as the Asia-Pacific region has weathered the global recession well. On 12 August 2009, after two months of due diligence, Mercator acquired an exclusive option over a 100% interest in the Copper Flat copper-molybdenum-gold-silver project in New Mexico, USA. Copper Flat is a former producing mine which is considered by management to be an advanced stage asset that could be returned to production within a relatively short timeframe. Key infrastructure from previous mining operations remains in place at Copper Flat. A pre-strip of the ore body has been completed, which along with the infrastructure established, represents a substantial proportion of the capital investment that would be required to bring the project into production. Extensive feasibility studies on the restart of production at Copper Flat were carried out during the 1980s by highly reputable technical consultants. The most recent Pincock, Allen & Holt study envisaged the mining of 5.8 million short tons of ore and two million short tons of waste annually for 11.6 years. In order to restart production, a suitable processing plant would need to be constructed and commissioned. The Copper Flat deposit has historical reserves of 45.5 million metric tons grading 0.45% Cu, 0.015% Mo, 0.15g/t Au and 2.25g/t Ag (cut-off grade 0.23% Cu), equivalent to 50.2 million short tons @ 0.45% Cu, 0.015% Mo, 0.14g/t Au and 2.04g/t Ag (cut-off grade 0.23% Cu). The deposit appears to have excellent continuity and consistency of grade, with a low estimated stripping ratio of approximately 0.9:1, based on previous mining plans. A total of 181 reverse circulation and core drill holes have previously been completed (equating to approximately 39,000m) along with approximately 300m of underground drifting. Detailed metallurgical test work has been completed and has consistently shown a recovery of 92% copper and the production of highly marketable concentrates with an average copper grade of 28%. These results were confirmed during actual production in 1982. On the basis of current historic reserves and assuming prices of US$2/lb copper, US$10/lb molybdenum, US$900/ounce gold and US$13/ounce silver, the Copper Flat project has an NPV of US$117 million and an IRR of 24%. Assuming prices of US$3/lb copper, US$10/lb molybdenum, US$900/ounce gold and US$13/ounce silver, the Copper Flat project has an NPV of US$348 million and an IRR of 45%. These figures are based on an owner mining scenario, initial capital costs of US$115 million and a discount rate of 8%. The current price of copper is in excess of US$3/lb. During the course of Mercator’s due diligence, it became apparent that the Copper Flat project, despite being extremely profitable at today’s copper prices, would become marginal should copper prices fall to approximately 50% of those currently prevailing (assuming an 11 year mine life at historic reserve grade and cut-off). However with a modest increase in reserves the project would be very profitable at US$2/lb copper and still robust at US$1.50/lb copper. On the basis of the preliminary economic review outlined above, Mercator is seeking to add value to Copper Flat through the expansion of the project’s reserves/resources by means of further drilling and through the acquisition of various government permits required for a restart of production. It is expected that the permitting process will take 20-36 months to complete, and the terms of Mercator’s option over the project are structured to reflect this timeframe. The documentation necessary to complete the permitting process is planned to be ready to submit to the relevant authorities in New Mexico by the end of 2010 or early in the first quarter of 2011. The results of an initial drilling programme that commenced at Copper Flat in January 2010 and concluded in February have so far been positive, with assay results received including an intersection of 429ft (131m) at an average grade of 0.73% copper. Further assays are pending. The drilling programme was designed to provide data for a Canadian NI 43-101 compliant update of the historic Copper Flat reserves/resources and to provide geotechnical and geochemical information for the planning and permitting of future operations. The programme was also intended to provide information regarding the possible extension of historic reserves/resources at Copper Flat below and adjacent to the historic planned open pit. The majority of Copper Flat’s historic reserves/resources are hosted by an extensive breccia pipe and surrounding host rock of porphyritic quartz monzonite. Encouragingly, the programme has confirmed extensions of the breccia pipe and mineralisation adjacent to and below the historic planned pit. During 2010, Mercator will consider all relevant options for the financing of the project. Mercator acquired its option over the Copper Flat project for consideration of US$150,000. In order to exercise this option, Mercator may make payments to the vendors as follows: US$1 million by end March 2010 (US$150,000 already paid); US$1.85 million by 14 August 2010; and US$7 million by 14 February 2011. All these payments are discretionary, and Mercator can elect not to proceed with the exercise of the option at any stage. The final payment may be deferred until 16 May 2011 for an additional payment of US$150,000. The vendors would retain a net smelter return (NSR) of 3.25%. Between September and December 2008 Mercator invested £175,000 in the Area 81 gold project in Papua Province, Indonesia, by way of a loan to GOC Holdings Ltd (“GOC”), a Hong Kong registered company. This loan enabled GOC to earn a 50% interest in the Area 81 project. During the course of the period, Mercator’s loan was converted into a holding of fifty million shares in an Australian company named Paniai Gold Ltd (“Paniai”), which was formed to hold the interest of GOC in the Area 81 project. Paniai has since invested a further A$700,000 in the project, having raised pre-IPO funding ahead of an IPO planned for 2010. Paniai is the holder of a 50% interest in a joint venture over the Area 81 project with a local company. The joint venture has one granted 40 hectare mining permit and applications pending for another 490 hectares of mining permits and 170,000 hectares of exploration permits. The joint venture initially intends to mine sizable bodies of gold bearing gravels located within its granted mining permit, and will additionally undertake exploration for new gold and coppergold deposits within the wider project area, which is less than 100 kilometres from the immense Grasberg copper-gold mine operated by Freeport McMoRan Copper & Gold Inc. Paniai plans to implement hydraulic mining methods and recover gold by means of sluice boxes. The joint venture has already established solid support from the authorities within the Regency of Paniai, the administrative district in central Papua Province in which the Area 81 project is located, as well as from the local population. Whilst the Area 81 project presents some logistical challenges, the large amount of gold (more than 100,000 ounces) that has been extracted by Paniai’s Indonesian partner over the past four years using extremely unsophisticated mining methods indicates exceptional potential for both the application of more sophisticated mining techniques and for the systematic exploration of the wider area with a view to the discovery of new deposits. In order to ensure that the Area 81 project has the best possible chance of success, Mercator introduced Paniai to Trevor Neale, a noted specialist in gold mining operations in Papua New Guinea who has now been appointed Operations Manager of the Area 81 project. Mercator also introduced Paniai to BGF Capital Ltd, a new broking house focused on the exploration and mining industry in Australia. BGF has raised approximately A$500,000 in pre-IPO funding for Paniai and has agreed to underwrite Paniai’s listing on the National Stock Exchange (“NSX”) in Newcastle, Australia, for approximately A$1.8 million. On listing, Mercator expects to hold 16% of Paniai Gold’s issued share capital (equating to an 8% indirect project interest). On the last day of the period, Mercator announced the sale of nine million of its ten million ordinary shares in Silver Swan Group Limited (“Silver Swan”), an exploration company listed on the Australian Stock Exchange and focused on gold and base metal projects in Australia, the most significant of which were sold to it by Mercator in April 2008. Post period, further disposals of ordinary shares in Silver Swan have taken place and the Company now holds an insubstantial number. First proceeds from the disposals were not received until after the end of the period, and thus will be reflected in future financial statements. 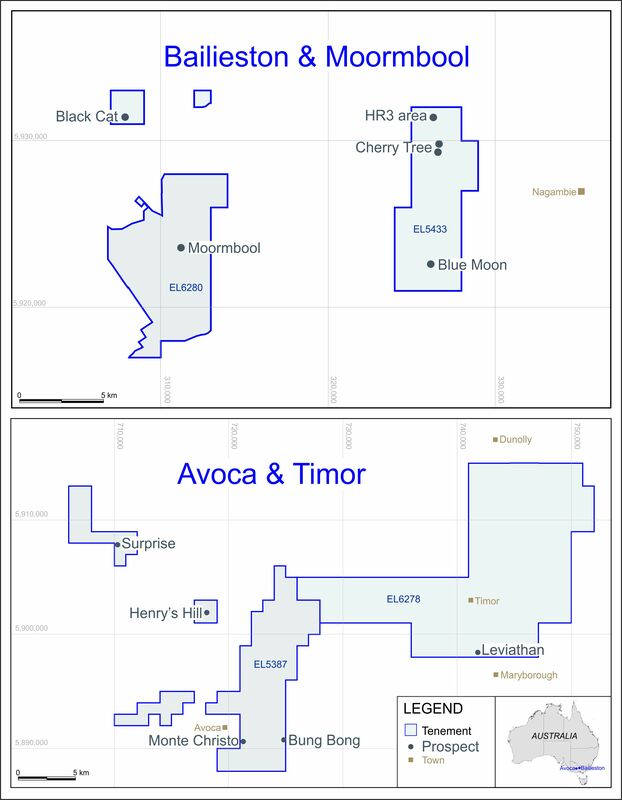 The Company has retained four million performance shares in Silver Swan, which convert to ordinary shares subject to certain conditions, the most notable of which is the definition by Silver Swan of Indicated Resources of a minimum of 350,000 ounces of gold or gold equivalent on the tenements sold to it by Mercator. The disposal by the Company of the majority of its ordinary shares in Silver Swan has realised cash proceeds of in excess of A$3 million whilst still leaving the Company with its performance shares, which constitute a substantial interest in the future of Silver Swan. Silver Swan represents a prime example of the process by which Mercator is able to add value to a project and then realise this value at an appropriate time. In October 2008, instability in the wall of the Surprise pit at the Meekatharra gold project, then operated by Mercator, forced the cessation of mining activities at Meekatharra. This precipitated substantive losses associated with the Company’s forward sales of gold during a period of extreme volatility in the gold price. As a result, administrators of the Company’s Australian operating subsidiary Mercator Gold Australia Pty Ltd (“MGA”) were appointed on 9 October 2008 and were appointed Deed Administrators under a Deed of Company Arrangement (“DOCA”) on 4 December 2008. MGA remains under a DOCA pending the completion of a refinancing of the Meekatharra project. During the course of the period, Mercator’s directors, staff and consultants cooperated closely with the administrators of MGA to arrive at a development plan for the Meekatharra project that would enable its refinancing. This plan was used in an extensive marketing campaign by the administrators and has largely been accepted by the successful bidder for the project, Meekatharra Gold Corporation. The offer from Meekatharra Gold Corporation, which has been accepted by the administrators on behalf of all creditors, of which Mercator is the largest, is subject to confidentiality at this time. However it can be stated that the creditors of MGA will have a 25% interest in Meekatharra Gold Corporation prior to the anticipated listing of Meekatharra Gold Corporation on the Toronto Stock Exchange. To assist with this transaction, Mercator has invested, by way of a loan convertible into shares, C$200,000 in Meekatharra Gold Corporation. Furthermore, Mercator has agreed to contribute A$1.5 million in the form of a two year convertible instrument in the Company to a trust established to hold the creditors’ interest in Meekatharra Gold Corporation. In return, Mercator will be entitled to 50% of this interest, from which the Company, in due course, expects to realise material value. Mercator has waived any further distribution from the trust. Mercator expects the acquisition of the Meekatharra gold project to be completed by Meekatharra Gold Corporation during the course of 2010. Once this has occurred, Mercator will assume full control of MGA and with it large operating and capital tax losses, which are of significant value and which may be utilised for the benefit of MGA’s only shareholder, Mercator Gold plc. In November 2009, after the end of the period, Mercator acquired three million shares in Uranio AG, a Swiss uranium exploration and development company listed on the Frankfurt, Berlin and Stuttgart Stock Exchanges, for consideration of 20 million new ordinary shares in the Company. Uranio has extensive and highly prospective uranium tenement holdings in the Central African Republic (CAR) and in Argentina, including tenements in the CAR that are contiguous with ground held by AREVA, the French nuclear power company. In March 2010, Mercator commenced due diligence over Uranio’s promising tenement package in Argentina, and under a binding heads of agreement has the right to earn up to a 70% interest in the tenement package by spending US$5.5 million on exploration, development and associated activities over four years. The tenement package in Argentina totals more than 80,000 hectares of granted tenements plus 50,000 hectares of applications, and includes a tenement known as Color 15 that is located approximately 20km from the historic Los Mogotes Colorados mine, an unconformity-related roll-front uranium deposit. The Color 15 tenement is believed to be highly prospective for the discovery of similar deposits, which worldwide include those found in Canada’s Athabasca Basin. Mercator has now successfully reinvented itself as a mineral development company with a range of carefully selected projects and interests, all of which have the capacity to deliver substantial returns, and some of which have already begun to do so. Drawing on the expertise and experience of its directors, staff and advisers, the Company will continue to develop its portfolio of assets, as well as acting to take advantage of new opportunities where appropriate. The financial information set out above does not constitute statutory accounts as defined in section 435 of the Companies Act 2006. The consolidated profit and loss account, consolidated statement of total recognised gains and losses, consolidated balance sheet, consolidated cash flow statement have been extracted from the Group's 2009 statutory financial statements which have not yet been audited. This preliminary statement was approved by the directors on 12 March 2010. The financial information set out above does not constitute the company's statutory financial statements for the 15 months ended 30 September 2009 but is derived from those financial statements. The comparative figures are those of the financial statements for the year ended 30 June 2008. The report of the auditors is likely to be qualified in respect of the opening inventories of a subsidiary and thus of the loss for the year. Their report is expected to be unqualified with regard to the Balance Sheet of the Group and Company as at 30 September 2009. The auditors have reviewed the statements on pages 9-13 presented and do not require any adjustment to them. The statutory financial statements for the 15 months ended 30 September 2009 will be delivered to the Registrar of Companies following the Company's Annual General Meeting. The loss per share is calculated by reference to the loss for the year of £4,452,525: (2008 £31,883,479) and the weighted average number of Shares in issue during the year of 80,844,092 (2008:55,547,888). There is no dilutive effect of share options or warrants. No dividend is proposed in respect of the period. The Company is registered under company number 5079979 (England and Wales). The nature of the Company’s business is that of a holding and management company. On 9 October 2008 the subsidiary Mercator Gold Pty Limited (MGA) was placed into Administration pending ongoing efforts to refinance its operations. This remains the case as at 30 September 2009. Consolidated accounts for the Group have been prepared but exclude MGA due to the Company’s inability to obtain the necessary accounting information from the subsidiary’s administrators. The administrators of the subsidiary are Ferrier Hodgson, Perth, Australia. The Company no longer considers this entity to be a subsidiary under IAS27 as control has passed to the Administrators. These financial statements reflect the Directors’ valuation of the subsidiary, after creating a 90% provision against the book value of the investments in the subsidiary. Should the outcome of the administration prove less favourable, further significant write-downs could prove necessary and may adversely affect the going concern assumption. Since reporting on the accounts for year ended 30 June 2008 the company has diversified considerably and the directors no longer believe the survival of the company is dependent on the realisation of the 10% residual interest in its former subsidiary in Australia. While dependent on the directors’ ability to raise funds to finance the ongoing activities of the group, the directors believe it remains right and proper to prepare the accounts on a going concern basis. The financial statements have been prepared under the historical cost basis, modified with regard to revaluation of investments. The Company has not decided to adopt any optional IFRS accounting standards early. The financial statements have been prepared in accordance with International Financial Reporting Standards (IFRSs and IFRIC interpretations) as adopted by the European Union. During the 15 month period under review the company acquired a 70% interest in Gold Crest, a holding company based in Hong Kong and this company has no activity other than as the 100% holding company of the ultimate subsidiary, a metal products manufacturer based in Thailand. The ultimate subsidiary is ACS Asia (1996) Company Limited which is registered in Thailand. This interest was acquired on 10 November 2008 at a cost of £465,752 for cash. Copies of the Annual Report and Accounts for the 15 months ended 30 September 2009 will be posted to shareholders by 28 March 2010 and will be available, free of charge, from the Company's registered office at Peek House, 3rd Floor, 20 Eastcheap, London, EC3M 1EB, for a period of 14 days from the date of their posting. The financial statements will be delivered to the Registrar of Companies following the conclusion of the annual general meeting.